Established in the year 1990 and being a pioneer in the world of the real estate Chordia group has astonished the citizens of Jaipur and the fellow competitors by introducing innovative and globally accepted designs and setting challenging benchmarks. Our group was the first to introduce the concept of JDA approved integrated townships and built Chordia city. This got popular soon and was later followed by fellow builders. Our Chairman Mr. Vinay Chordia is enthusiastic and has a dedication towards building with a foresighted mind set. Being in this industry for two glorious decades now, his passion towards innovation in each creation is appreciated by many. Through his expertise and visionary values we were able to provide advanced architecture and engineering to the society and as a result Chordia group earned new heights year on year. Under his guidance we have grown year on year and have gained such capabilities and proficiency that the group now offers an architecture for different segments of the realty business like Commercial Centres, Farm Houses, Townships and the Residential. We work with zealto bring in more world class facilities and highly engineered architecture to all our structures and setting new standards in the industry. Our group also initiated the concept of inviting other builders to build structures in our townships which is a new dimension all together. Since inception, Chordia group has been looked as a symbol of growth, development, transformation, improved quality of life with a high degree of customer satisfaction. Our focus is mainly in transformation and continuous change to match up with the changing needs and quality standards. The world around us changes each year and so the demands of our customers. Therefore, we possess highly skilled, Innovative, committed and professional workforce which work for the common objective of delivering the best. Our organisation has one of the key motives to uplift the community and the people who are directly or indirectly related to the business we do. This can be very well observed from the various initiatives which shows our commitment towards the nation’s community and the environment. We have built schools on international standards in our townships and various other locations to ensure best and quality education is offered to each child of our state. As part of our architectural planning, we take lots of care to make the building environment friendly. Most of our projects are ecologicallybalanced by the way of resources and unique perspective techniques we use. Our planning and designis intelligent enough to support the greenery in our structures and at the same time the inclusion of sky gardens help to maintain a temperature 2 to 3 degrees lower than outside. In addition, we aim at reducing the carbon footprint in our townships by using green plants in landscaping. This helps purify the air and at the same time gives healthy environment for the residents. To continue with our social responsibility we have started with the NCG foundation who is working towards the future ventures that will explore new horizons and better community welfare steps. Luxurious Dream Flat Available in Prime Location at Kamla Nehru Nagar Near Vaishali Nagar, Jaipur. 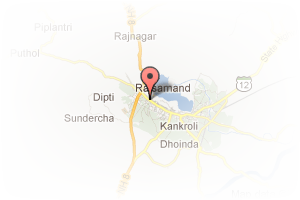 Address: 29 Janpath, near Danapani Rest, Shyam Nagar, Jaipur, Shyam Nagar, Jaipur, Rajasthan, India. 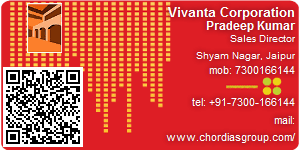 This Builder Profile page for "Vivanta Corporation" has been created by PropertyWala.com. "Vivanta Corporation" is not endorsed by or affiliated with PropertyWala.com. For questions regarding Builder Profiles on PropertyWala.com please contact us.